The Polynesian Football Hall of Fame honored University of Alabama national championship sophomore quarterback Tua Tagovailoa as the College Football Player of the Year during the annual enshrinement program at the Polynesian Cultural Center on January 19, 2019. The young Samoan quarterback from Ewa Beach, Oahu has already accumulated an impressive record of football achievements, including leading the St. Louis High School Crusaders to the Hawaii state football championship over nearby Kahuku High a few years earlier before reporting to the Crimson Tide. Tagovailoa has demonstrated the inner qualities and values that have brought Polynesian athletes to the pinnacles of achievement out of all proportion to their numbers. “My parents have been my teachers when I was growing up, and I learned everything from them,” Tagovailoa added. “Who I am today is the epitome of who they raised me to become. Mariota was presented with the 2016 College Polynesian Football Hall of Fame award. Photo courtesy of KHON News. ♦ As an eight-year-old Pop Warner player, Tua could throw the ball 30 yards. ♦ Tagovailoa is a committed Christian and graduated from Catholic-affiliated St. Louis High School in Honolulu in 2017. 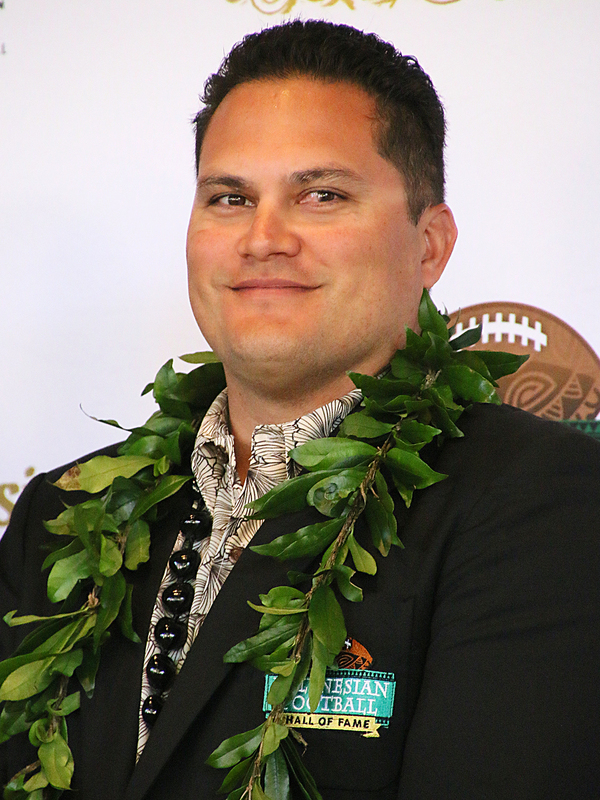 ♦ He led the St. Louis Crusaders to the state championship that year, and was named the number-one player in Hawaii. 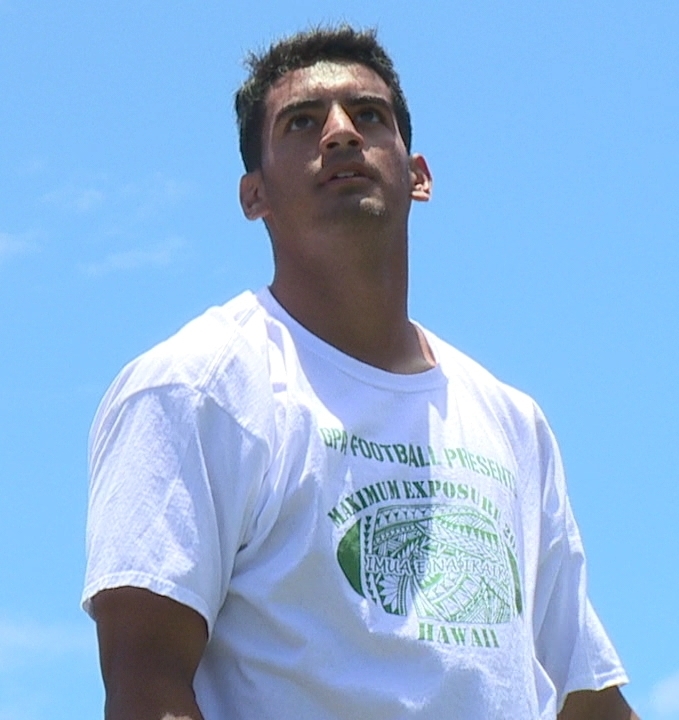 ♦ Fellow St. Louis alum and Heisman Trophy winner Marcus Mariota mentored Tagovailoa. ♦ Tua threw Alabama’s game-winning touchdown pass to win the 2018 College Football Playoff national championship, 26-23, over the Georgia Bulldogs. 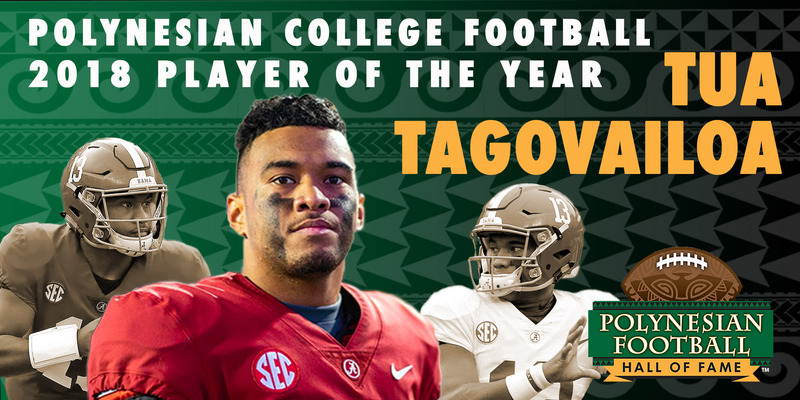 ♦ Tua finished second in the 2018 Heisman Trophy voting (behind U. of Oklahoma quarterback Kyler Murray), but won both the Walter Camp and Maxwell Awards as the top player in college football. He was also a 2018 first-team All-American. ♦ Tagovailoa also led the Crimson Tide to a 45-34 victory over Kyler’s Oklahoma team in the Orange Bowl on December 29, 2018 . . . for which he was named MVP. Keep your eyes on this outstanding Polynesian athlete! Story by Mike Foley, who has been a full-time freelance writer and digital media specialist since 2002. Prior to then, he had a long career in marketing communications, PR, journalism and university education. The Polynesian Cultural Center has used his photos for promotional purposes since the early 1970s. Foley learned to speak fluent Samoan as a Latter-day Saint missionary before moving to Laie in 1967, and he still does. He has traveled extensively over the years throughout Polynesia, other Pacific islands and Asia. Though nearly retired now, he continues to contribute to PCC and other media. I like the story, Mike—YOUR story about your mission and how you learned to speak Samoan. We all serve and win our awards in life in different ways. Kap Teo- Tafiti didn’t win for the 20th year in a row? The fix must be in!